Sorry that this is off the topic, but I work in the fire service and a part of our job is to respond to medical emergencies and out 25 years of doing this I heard something on our fire radio that I’ve never heard before and thought what excellent information that is for the first responders. The dispatcher advised that the patient had Aspergers. Having dated someone with Aspergers and a good friend who’s teenage son has aspergers, the arriving EMT’s and paramedics may not know a person with Aspergers is pressing themselves in a way not nirmally associated with the original reason that they were called that can create confusion on the EMT or Paramedic in how they treat the person. So if you have aspergers and call 911 please try to relay that information and the same for someone who is calling on behalf of a person with aspergers. It doesn’t have to be the reason for calling just a heads up for those coming to help. I’m a bit confused as to what you mean by “pressing” but I’m fascinated to know. Could you elaborate? Sometimes they forget why they called. Sometimes non verbal communication takes over in stressful situations. They may not have thevwords to describe whatvis going on. It is important to observe pain behaviors (pressing a body part). I know I am answering someone else’s question but I think I know what theyv ate saying. My pdd.nos daughter could not tell us where her significant pain was (kidney stones) if we had only ask her to point instead of using words, she wouldn’t hsve had to suffer as long. Thank you Sam – again! I loved all your points – but especially the last 2. Those last 2 really highlight to me that aspies are complex thinkers – or at least experience the world in a complex way. As more and more thought leaders on the pioneering edge of systems thinking more fully embrace quantum theory, chaos theory and complex systems as the underlying principles for the only sustainable way forward, our strengths as complex thinkers will start being valued more by those who have, until now, made us feel unvalued and sidelined. I know someone like you describe and she’s beautiful to me. It’s like having the sky in human form – sometimes sunny, sometimes stormy (and what storms!) sometimes grey and sometimes like a whirlwind, but always somebody you look forward to seeing. Intensity, truth, nurturing. Amazing. I wasn’t too sure when I started reading this list, since #1 and #2 describe physical features, and I don’t really know how I appear to other people, but then I got to #3, and there I was! Wow–that really describes me to a “T.” And it’s one of the major points of contention between my husband and me. He is always so definite. Very black and white. To him, there is always a beginning and an end, a question and an answer, a start and a finish. And I am the exact opposite. To me, everything is in flux, open-ended, subject to change. I’m always learning, trying things, looking at alternatives. Of course, this means that, often, things don’t get finished in a timely manner (or, sometimes, ever). I guess you can see why this would create problems! This really touched my heart. Never before had I heard Aspergers discussed this way, and it makes me feel so understood. Oh, I love this so much! I related to all of it and was so touched. Thank you a million times! not only aspie girls…many aspie guys are just like this too. My son was diagnosed at age 3. He is very high functioning and I could pick out traits through observations of my family. I’ve struggled with anx/dep, feeling like an outsider, like I’m lost, like I didn’t understand humanity, like I didn’t belong on the planet all my life. I have degrees in nursing and psychology and have tried to figure out if I am bipolar, cyclothymic, friggin’ nuts etc still not recognizing that HE GOT IT FROM ME – that his presentation is more “typical” because he is male – until I started reading your posts. What you have written so completely reflects my reality that I feel it viscerally. Now I need to convert this understanding from self-blame to empowerment for myself in the way I have done for my son. I’m crying right now for all the times I’ve wanted to be someone else, for wanting to have someone else’s brain, for not understanding why I put people off… now I grieve and am pissed, then I will accept and frame a new reality. I have been DX with depression since I was 17 and now at 48, I am being DX as Cyclothymic. I have a 13 y/o daughter who is OCD and believe she is HFA. I have been reading so much on those conditions and feel I am also HFA and am so relieved to see there is a DX for these traits HFA’s possess. I have a Ph.D. in Psychology, completed the pre-reqs for an LVN and RN program and started an LVN program only to have gotten on my clinical rotation instructor’s bad side. 10 other students and I were chased out of the program by the instructor mentioned above and have finally found after all these years that I want to be an insurance agent. I have several transcripts from different colleges and universities as well as a resume that resembles a long RAP SHEET exhibiting all of the jobs I have had in the last 30 years. Since I was three (3) y/o I have felt different and have had social issues and low self-esteem. The more I read about HFA on Samantha’s Blog, the more I believe I possess Aspergers. I loved your article. Thank you for sharing it. You have described us so eloquently, I cried my heart out. . Undeniably one of the most touching, beautifully written articles I have read in a long time. I cried my heart out. This is so, so accurate and so, so touching. It’s filled with elegant, beautiful diction that brings on this melancholy-yet-content/supported feeling for me. Beautiful with one major sour note. As an autistic woman, I am tired of this stereotype: “The inability to mature at an emotional level beyond that of a teenager, in a constant flux of varying emotions, and heavily influenced by the happenings of everything and everyone.” I would suggest that it is the writer who has not matured not people with Asperger’s in general. People with Asperger’s like allistics mature, and people with Asperger’s can, like allistic people, learn to manage their emotions better with experience. The lessons of mindfulness are there for everyone to learn, autistics and allistics alike. Some people whether autistic or allistic will be limited in this regard and some may only be limited because of beliefs they hold onto. I know many older people with Asperger’s who do not fit this stereotype. They are happy, content, and mature. Personally, I may have difficulty with discernment and I might retain a certain amount of innocence and naiveté when dealing with people, which may make me appear immature to others, but that doesn’t mean I am naive about the world and it certainly doesn’t mean I am immature. Accepting responsibility for one’s choices and life is a mark of maturity and there are plenty of allistics who don’t do that. I think it is time we retire this stereotype. It gives otherwise capable people an excuse to not grow. I am actually very mature in my logical thinking and emotionally know what I ‘should’ do. I think the sentence is limiting in scope and explanation. I entirely understand your comment, and can see how it my negate someone or have a ‘bad’ light, but I don’t mean it that way. 🙂 I simply will always me over-loving, hope-filled, naive, etc. Thanks for your feedback. Best wishes. I really loved this blog post. I do understand why someone took offense at the part about not maturing, but I believe your explanation. I am 58 and I am and have always been, mature for my age and responsible. BUT and this is a large but, there is a part of my spirit that is ever hopeful and optimistic and while I would hesitate to call it naive, I call it the “Ann of Green Gables” part of my personality. I have a sincere earnestness to my personality that to be honest, sometimes offends more pessimistic people who consider themselves “realistic”. I have my dark moods and I do suffer, sometimes horribly. But in the end, my eyes clear and I seek the light on the horizon with eyes wide open and spirit reaching upward and outward. I choose a more innocent, loving and trusting world and that’s just the way it is. This is lovely, thanks. I’m an inbetweeny but I can relate and aspire to a lot of this. Shared it on G+. It reminds me of a description of doctor who which I also shared. As an older bird now I’d like to add a possible extra physical attribute 1b- down turned mouth, not from being glum but from years of teeth grinding and polite smiles when really tense. To eClaire: I agree with your maturity issue. It needs reframing. I read elsewhere that aspian women would tend to find a level of comfortable maturity at about 40, which id agree with. The problems experienced through working life, when you discover grownups are not as nice as you’d hoped, can make the final steps to maturity and confidence full of pitfalls and cause a choice to regress to happier times. So not an inability, just a delay because we try so hard to remain optimistic and believe in a better future as a way through the tough times. It naive for sure but it’s also a relatively mature coping mechanism, like altruism. For me, I prefer to be and think like I did when I was a sensible intelligent but also playful 12 year old who was interested and excited about things and was able to enjoy being more carefree anc enjoying my own interests, before kids got hormones and starting identifying and bullying outsiders. I also assumed my choice to be a(non)sexual was down to not enjoying the company of the immature men who bothered me rather than being caused by possible borderline aspergers, but I guess it’s all related to escape and coping with being treated as different and not a direct symptom of AS. I commented on this in June this year, as it had a huge positive effect on me. Now, six months later I have stumbled upon it again. I’m having a very confusing time with a lot of low energy at the moment. I have just read this and it has had the same hugely positive effect on me again. It has opened me up to the possibility of things getting better. There are other people who are bravely struggling through life. Your writing takes away some of the isolation that having Aspergers can bring. It is a source of comfort to me to read your words as I find all the things you’ve mentioned extremely difficult to put into words. I feel so many things, but cannot find the words to express them and you do. So brilliantly. So a huge, big, genuine ‘thank you’ to you. i have been here… reading… thinking, and I feel like you are me. My son has autism. But I have never been diagnosed. How would I, as an adult do it? I am scared to ask my dr. affraid they will think I am just looking for something wrong with me. Or overracting or something. I was miss diagnosed bipolar many years ago, that changed to just depression. But I still feel like an alien. I love this site and all the stuff on here. I can’t believe there is another person that is sooo much like me. Thank you. So funny, I re-read my own post and the first thing I thought was “I am appalled I didn’t spell “Anne ” right and then saw Pogonia corrected my spelling! I knew it of course, it’s my middle name! Sigh…. those things we fret about when we have Asperger’s…. I love this post just as much as the first time I read it and am so glad it showed up on Facebook today. It also reminds me of my Asperger son who has eyes just as you described. I chose his senior portrait to be in sepia and looking like the back of a book cover, just because it highlighted those soulful eyes. Thank you again! I think I exhibit most, if not all, of these characteristics. What about you? My lovely daughter. I love her so much. Please God, surround her with friends who can share her gifts. Reblogged this on A Clear Voice, One Aspie's Journey. Reblogged this on different kind of wallflower. This is AMAZING! You’re so insightful!!! It’s always wonderful to realise that other people are like me too. I know someone who I can sometimes get #2 out of her, that amazing, almost little girl smile. Melts my heart, despite being autistic myself, I do have both feelings and empathy; sometimes more than everyone else combined! I like it when the girl I know lets go and allows #2 to shine forth. It’s the first time I see positive descriptions about Aspie girls without the need to sugarcoat. Thank you. Thank you for this beautiful article. 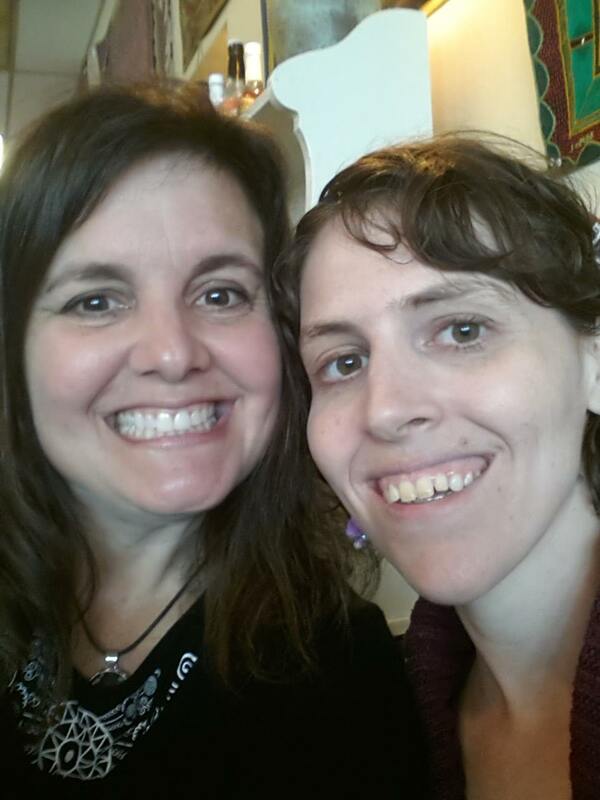 I have a friend who is very despondent over her Asperger’s diagnosis, so knowing how your blog helped me when I was first diagnosed, I came here to get the address, and clicked on this article. It’s so lovingly and beautifully, sensitively written, with an obvious eye to knowing the syndrome from an insider’s viewpoint. I especially loved #9, I realized when I read it why I finally left the city, and left my religion to pursue a nature religion. I am very much more at ease ebbing and flowing like the tides with the moon, and the flowers with the season. Out here, there is no one to judge me but the stars, who stand in judgment of no one. Again, thank you for writing this. I shared it in three different places, and I hope it lifts other Aspie girls’ spirits as it did mine. I almost didn’t include that one in my book (editor’s advice) but then added it back 🙂 So glad I did. Just reread it and edited it a bit today. 🙂 Thank you for your kind not. This made me laugh and cry at the same time; not so surprising for an aspie I know! I am 55 years old and have found out during the last month and a half that Aspergers explains everything about my life – EVERYTHING. What I do next I do not know, a diagnosis perhaps, but of course DSM-5 won’t let me have a diagnosis of Aspergers. Anyway I just wanted to say thank you for this. I have the lines from the frown and when I really smile my eyes disappear; the best thing anyone ever called me was a gentle soul. I cannot wait to buy your book (in paper and on my ereader of course); I have already read everything else! You could seek out a ASD diagnosis, autism spectrum disorder from a psychologist, or confirm Aspergers (unofficially) from a mental health therapist, so you have a second opinion. thank you for sharing. All the best to you. In contrast, I tend to notice Aspie females by their verbal behaviors…the usage of exotic speech, their preoccupation with and extensive knowledge of certain topics. Also, depending on the individual, they either have a keen perception of abstract speech and thought (sarcasm, satire, etc) or none at all. Depending on their background and social upbringing, They tend to be very blunt and non filtered in their youth, because they see sugar coating as dishonesty , yet the opposite in adulthood, they can be extremely inhibited, intimidated by possible social backlash, so they withhold… especially if they received extreme punishment for the behavior as a child ..and vice versa. Basically, there’s no grey area. In my experience, this is one of the main causes of anxiety in female Aspies…as we, for the most part, have more biological social advantages, and the desire to nurture.., we tend to over nurture and show more emotions…adding the fact that that Asperger syndrome was initially a “male only” disorder, many of us are misdiagnosed with personality , and mental disorders..
Love this post, thank you for sharing a positive list of traits in females with aspergers. I didn’t know the “soulful” eyes were related to having aspergers, I thought that was a trademark of being an “empath”. I can also vouch for being awkward in knowing where to look and how long at awkward moments, like looking at someone to see if they’re trying to make eye contact, then later avoiding someone else’s eye contact because you’re not sure if their face is friendly or curious or critical. The childlike sweetness and unique but distinct voice in self-expression is also true for me as well. I am glad I am not alone. Thank you for putting this together, it was nice to read. Pingback: Why “Claws” Autistic Character Dean Should Be Played By An Autistic Actor - Ramp Your Voice! A fellow aspie told me he knew I had Asperger right away because of my closed body language and the faraway look in my eyes. There are all kind of ways to spot a fellow aspie, and the list of ways posted here is very insightful and perspective.